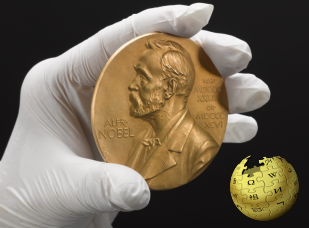 This Nobel Prize Video Website was created by Mike P, whose interests are ethics, and science education. He taught chemistry, physics, and general science at the college level for 38 years. Since retirement, he has established this website that examines the prize and its winners as well as current events from a science and research perspective. © 2019 Nobel Web - All rights reserved.